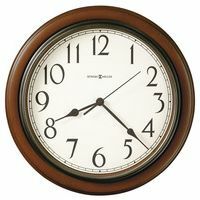 This is a time only miniature French Bracket or Desk clock in good running order. It is an eight day clock. It has the earlier platform cylinder escapement (original to the clock) and runs well for about a week. 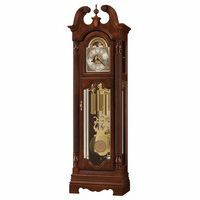 The clock does have a small chip out of the front right top moulding, about an eighth of an inch in length. Also, at the 1 o'clock position on the wood case, is an old small chip about 3/8ths of an inch across and 1/8th deep that shows up as a small dark spot in the picture. The dial and the beveled glass are in great shape. 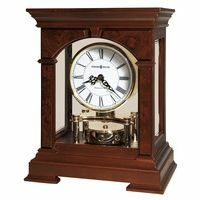 The clock measures 6 inches tall, 7.5 inches wide and 3.25 inches deep.